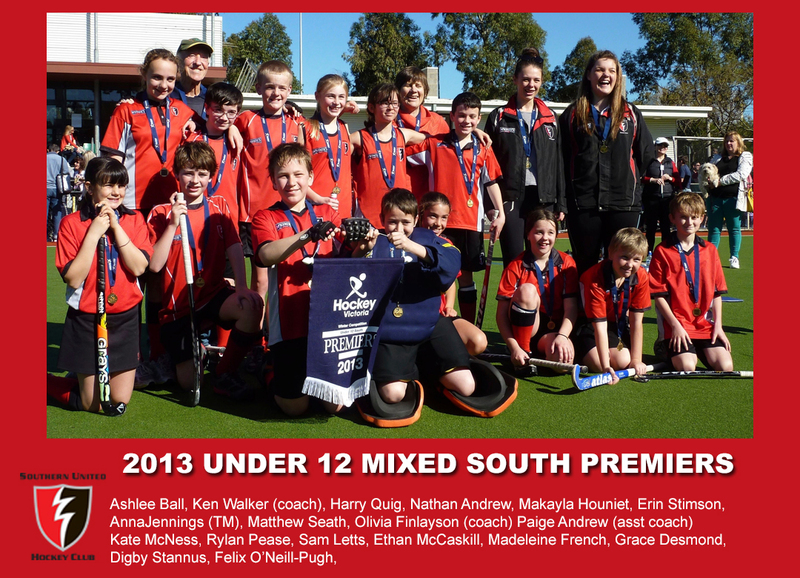 SUHC will have teams entered in age groups from under 10 to under 18 in 2019 together with a program for under 8s and under 10s which will take place at our Farm Rd, Cheltenham ground. 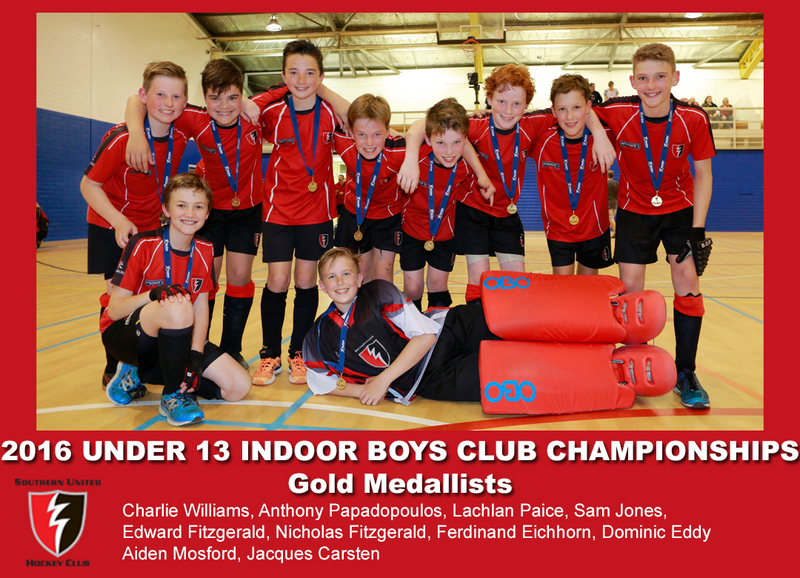 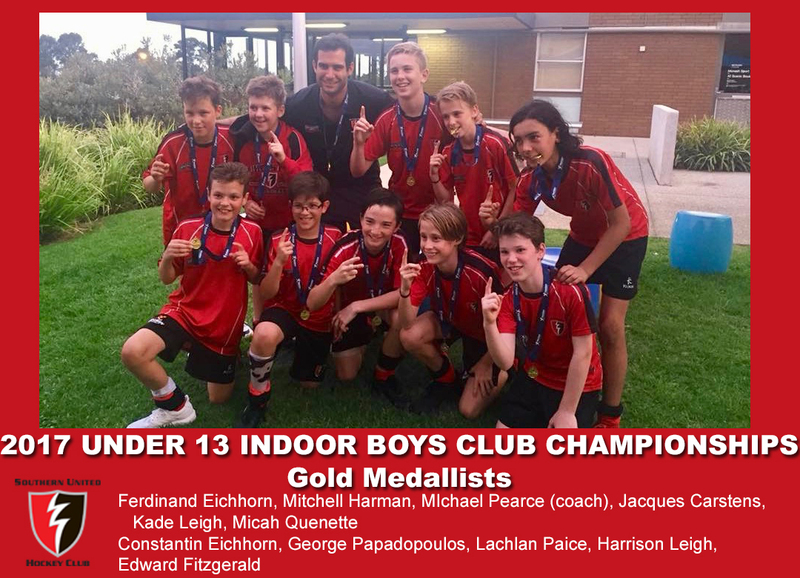 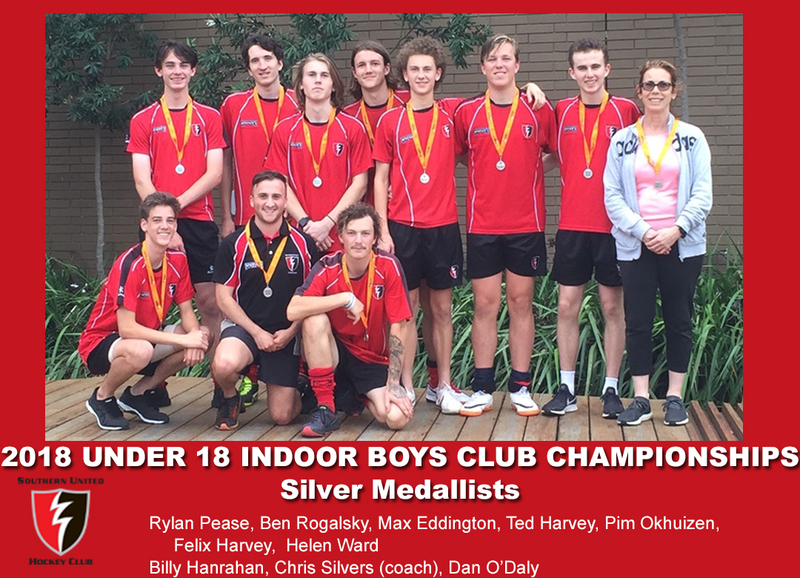 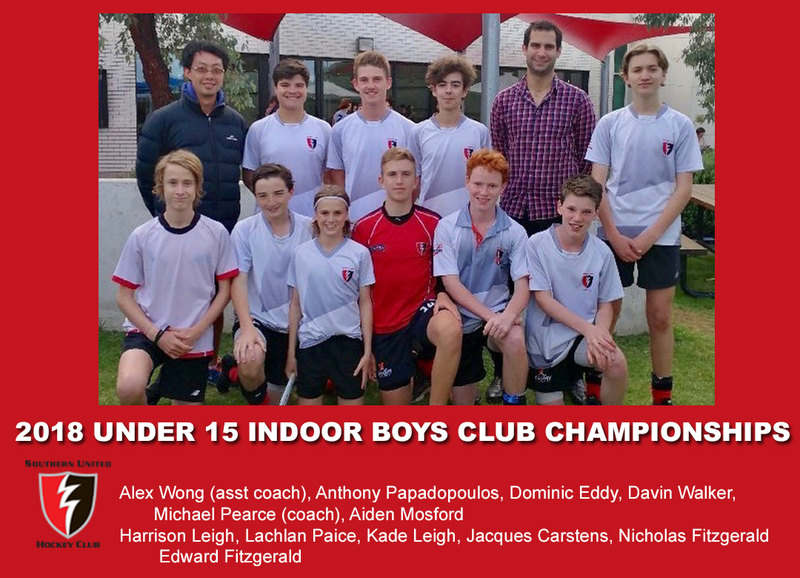 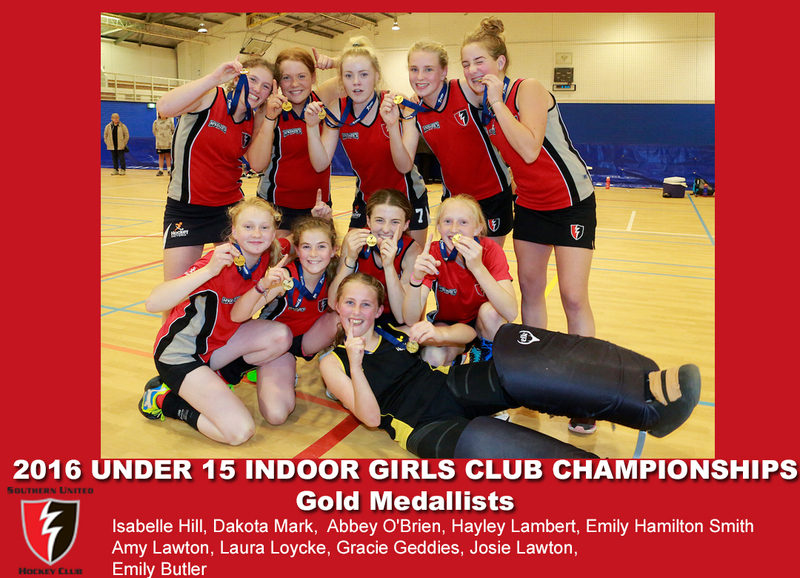 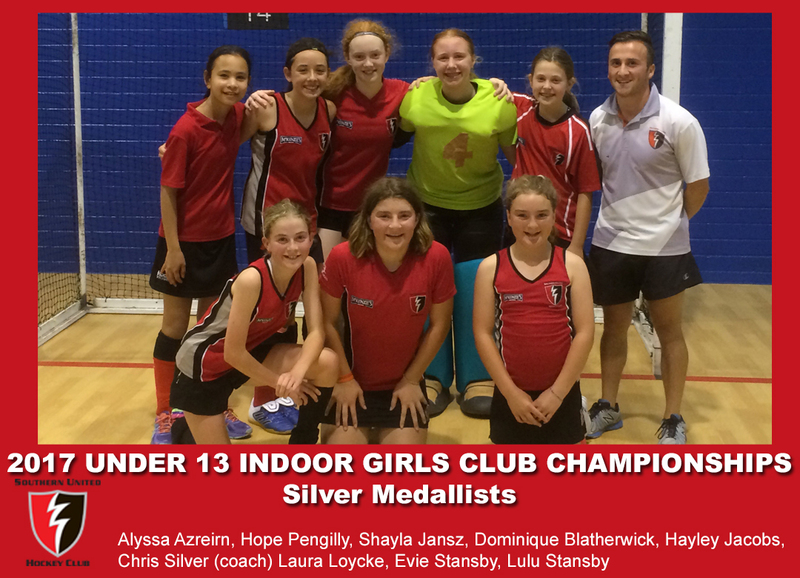 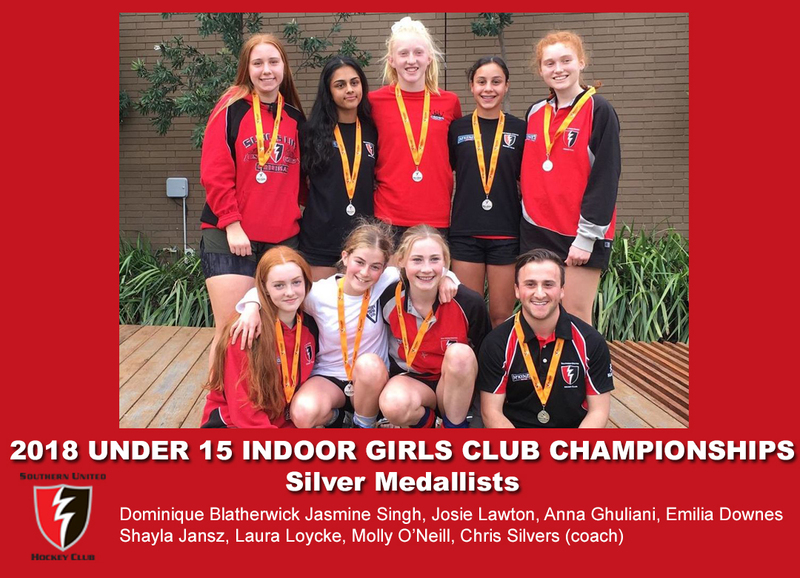 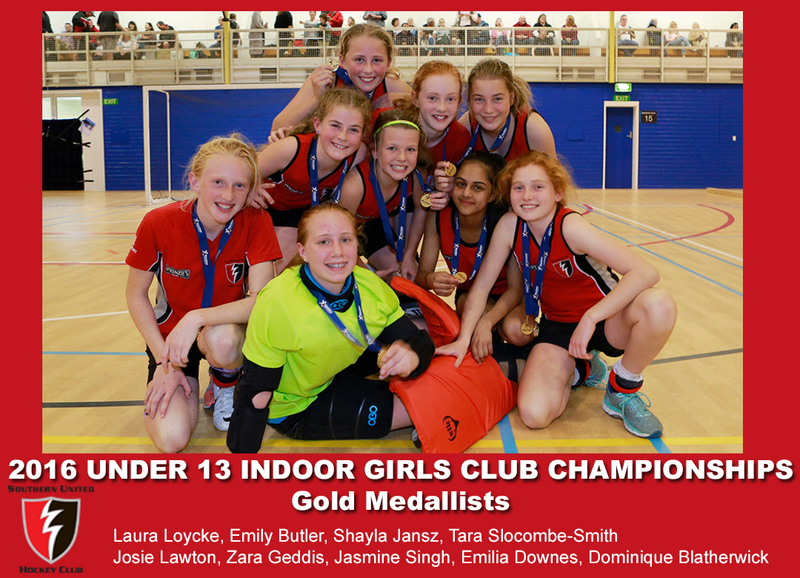 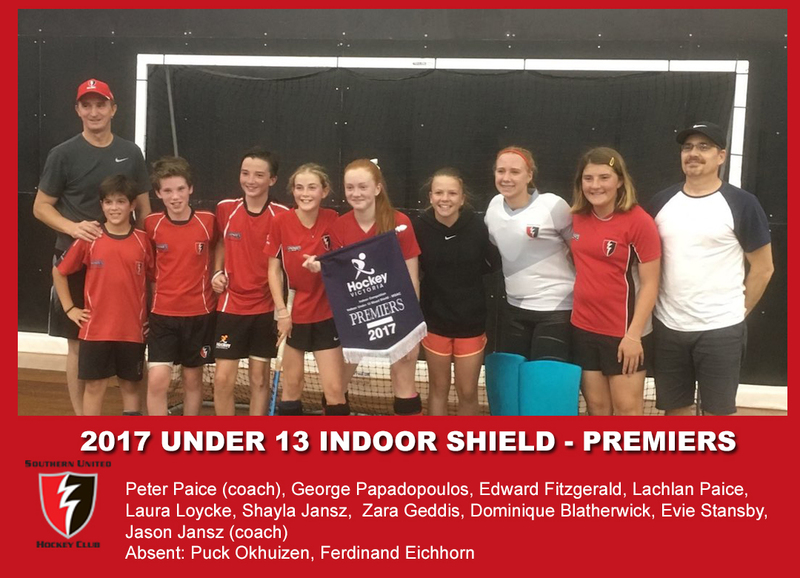 We are a family friendly club with grades for all players including Shield (A grade) teams in all age groups as well as teams that cater for beginners from U10′s through to U18′s – so something for every players abilities no matter what age they start playing juniors. 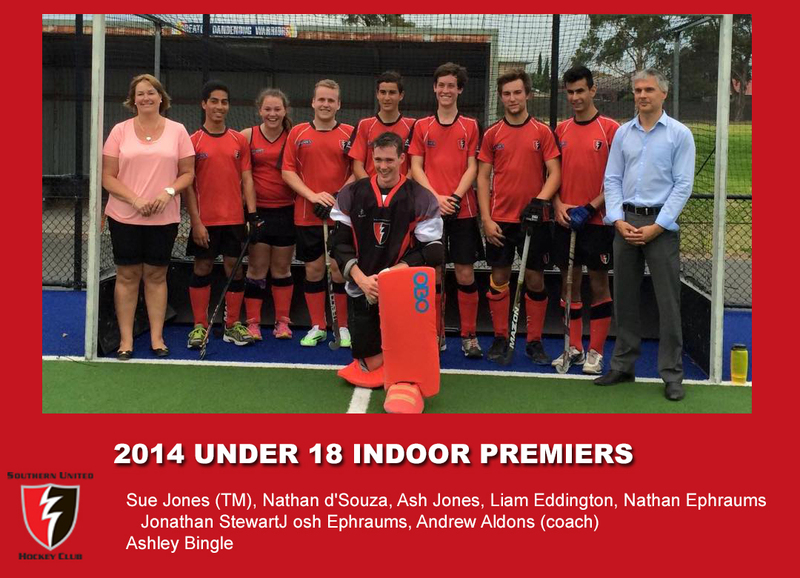 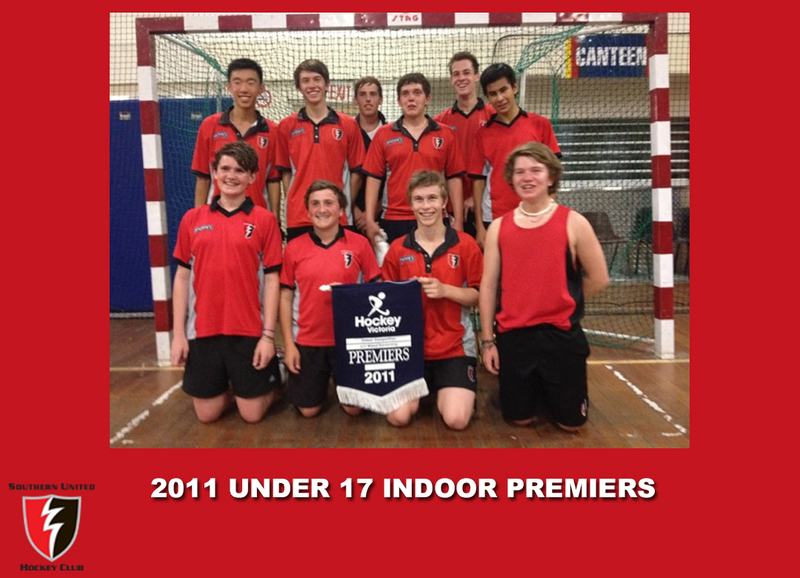 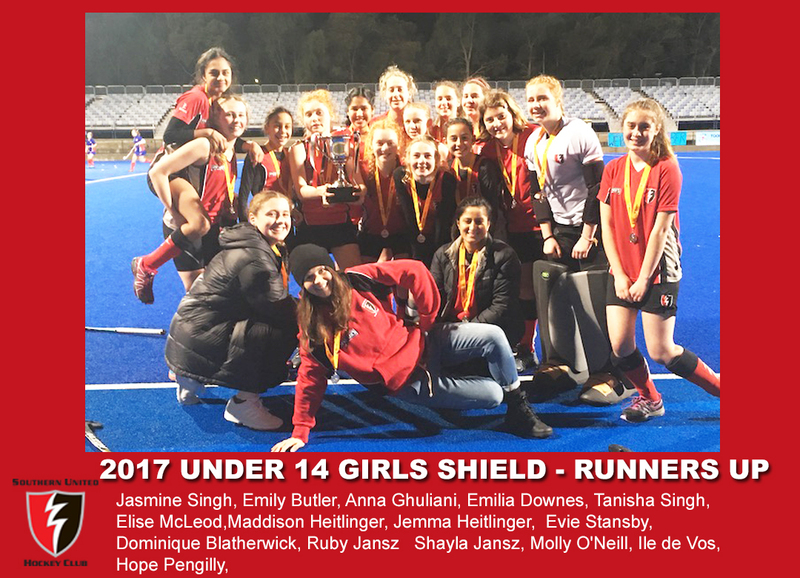 In our juniors our focus is to teach players the techniques and tactics to enable them to enjoy hockey to the standard they strive for. 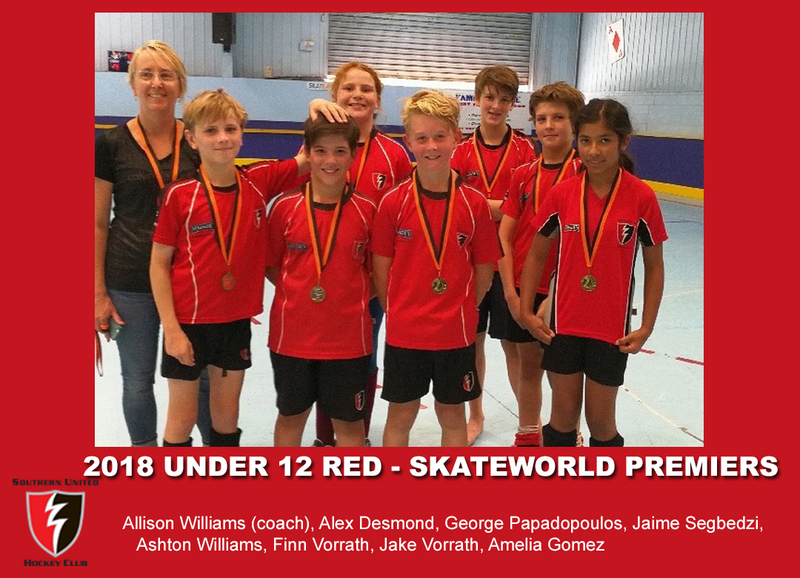 Age groups for 2019 will be under 10, 12, 14 and 16. 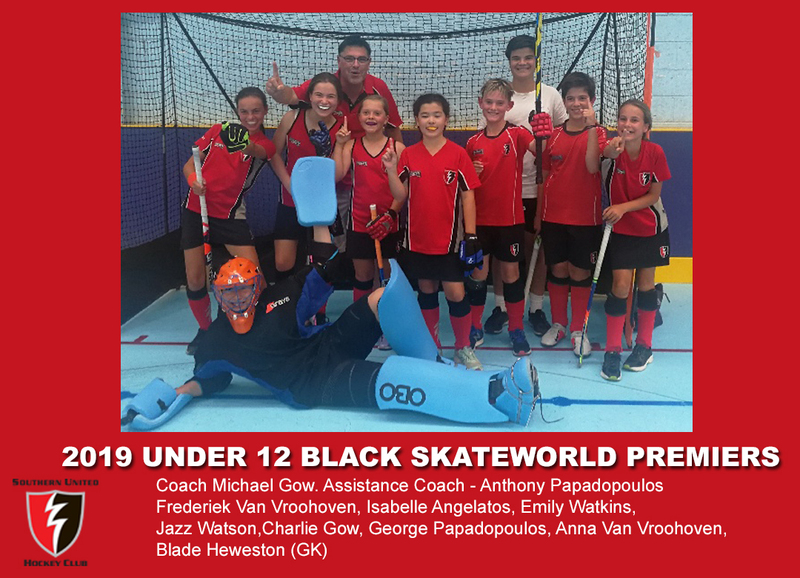 Older children can join via clinics or their age group. 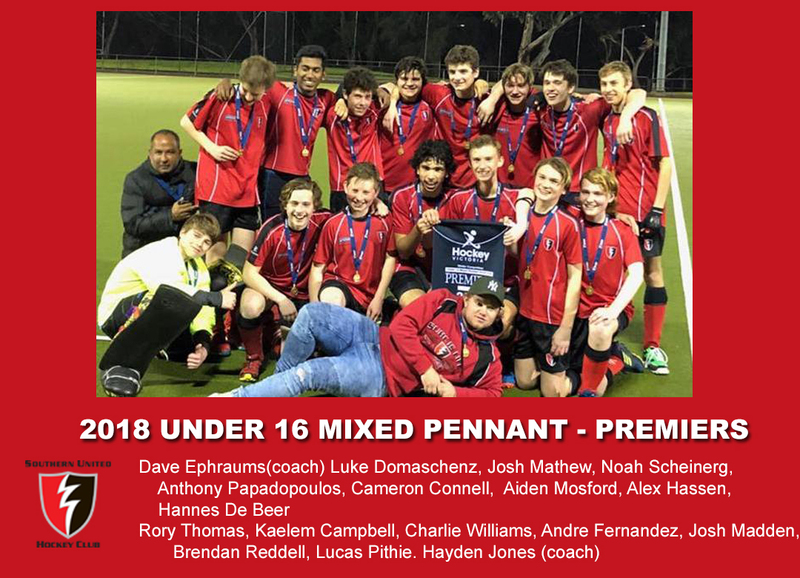 For new families joining the club, the New Parents Guide 2019 will hopefully answer many of your questions. 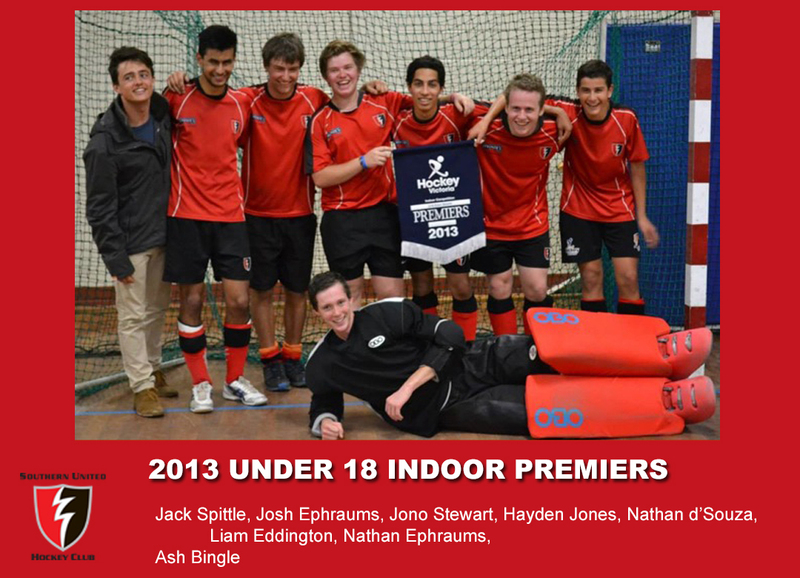 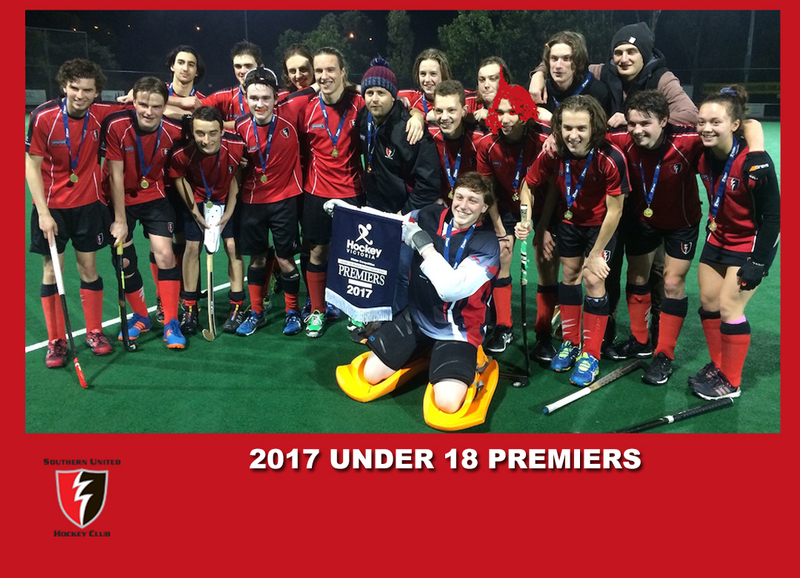 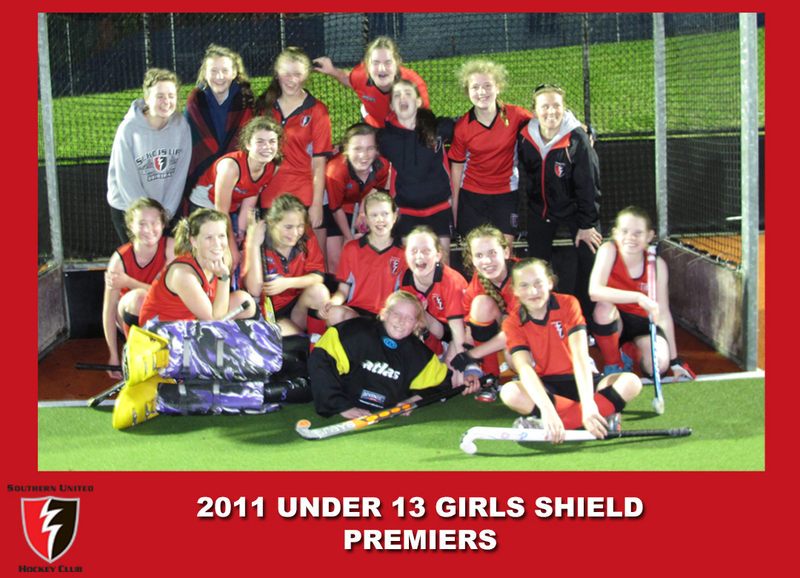 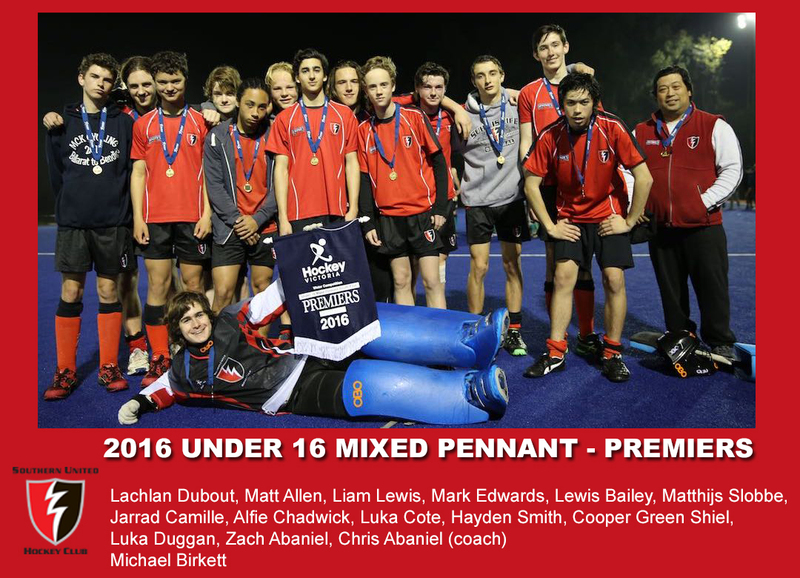 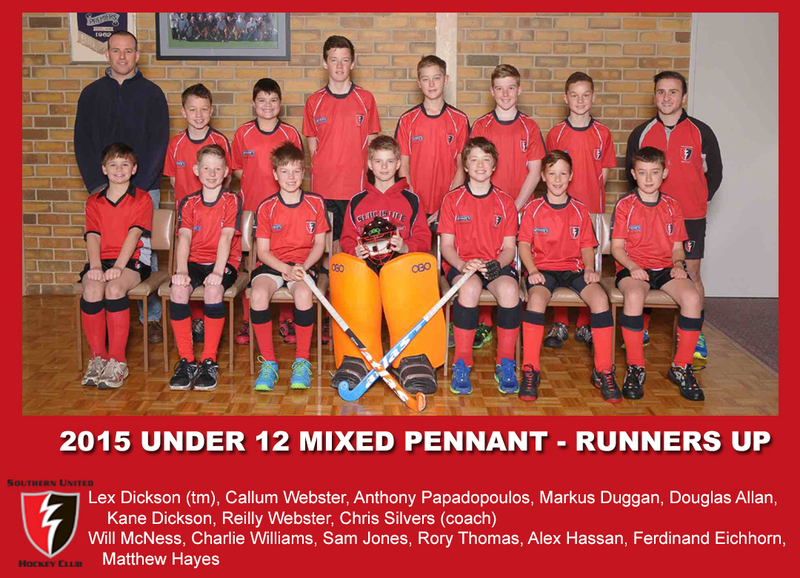 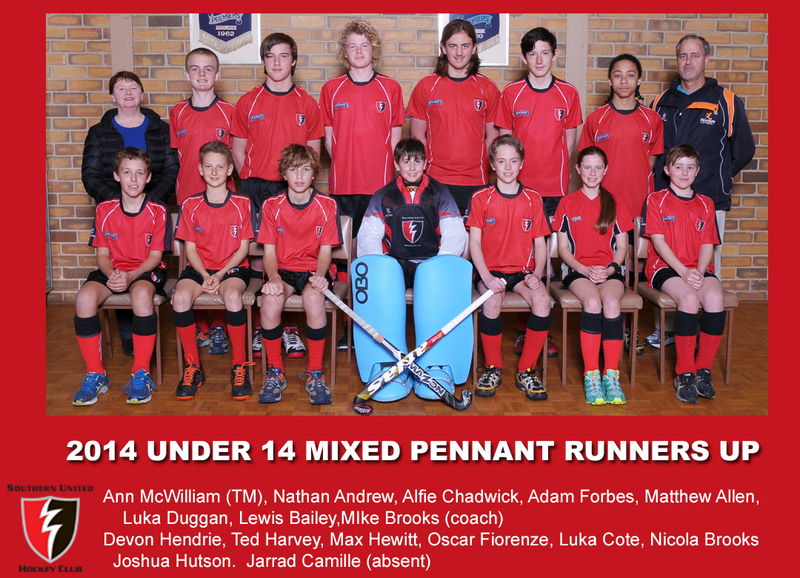 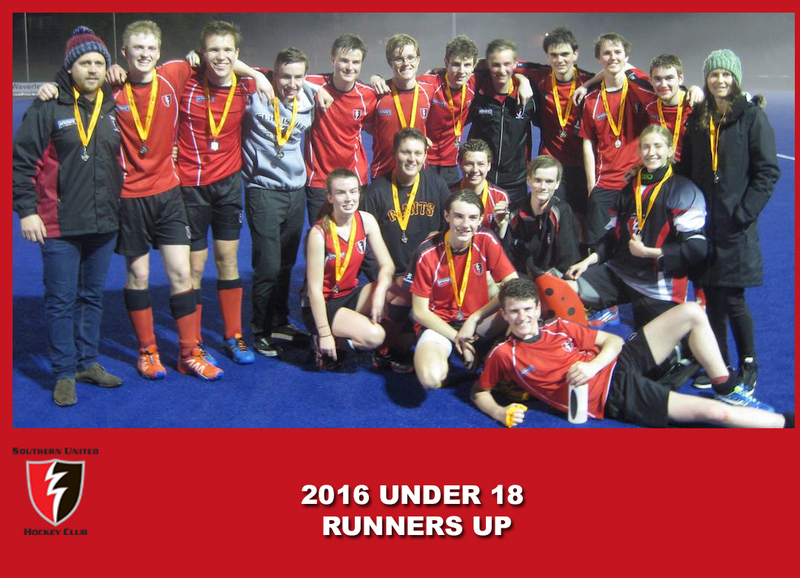 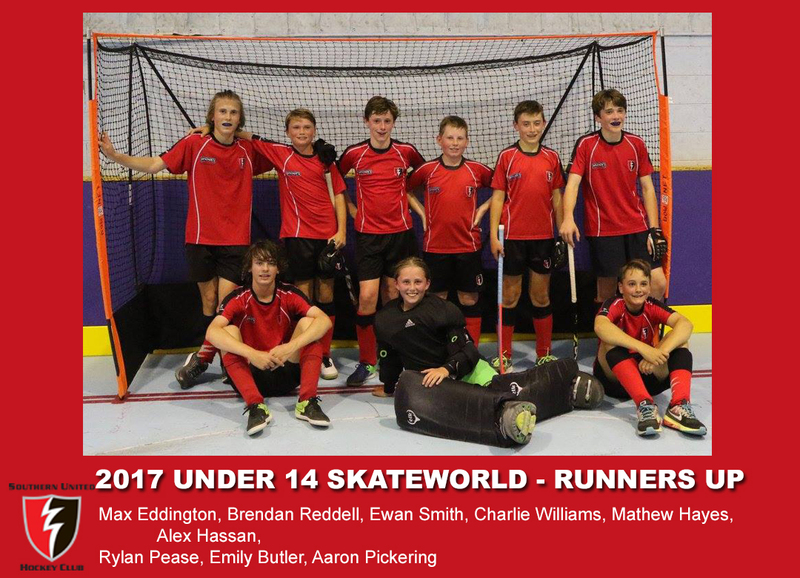 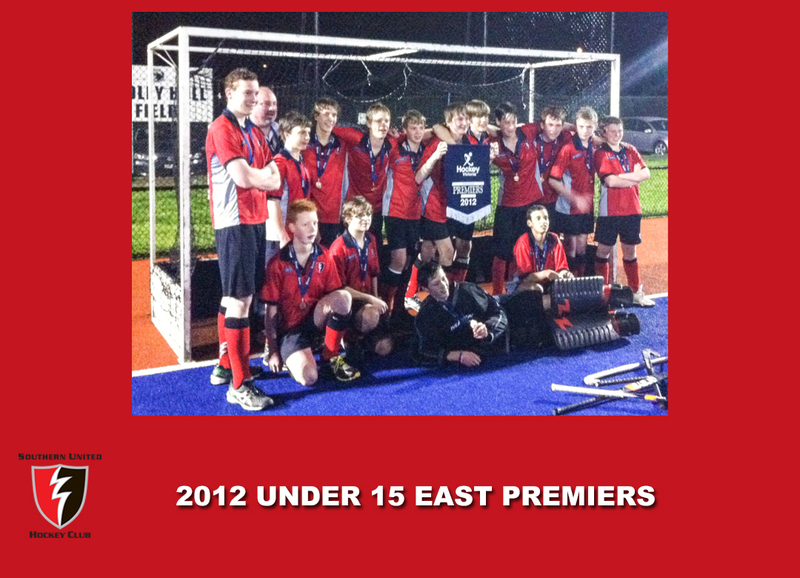 Under 14, Under 16 and Under 18 competitions will run on Friday nights, Hockey Victoria aim to have no games starting before 6.00 pm or after 9.00pm for 14s, and 16s, the 18s will often start at 9.30pm. 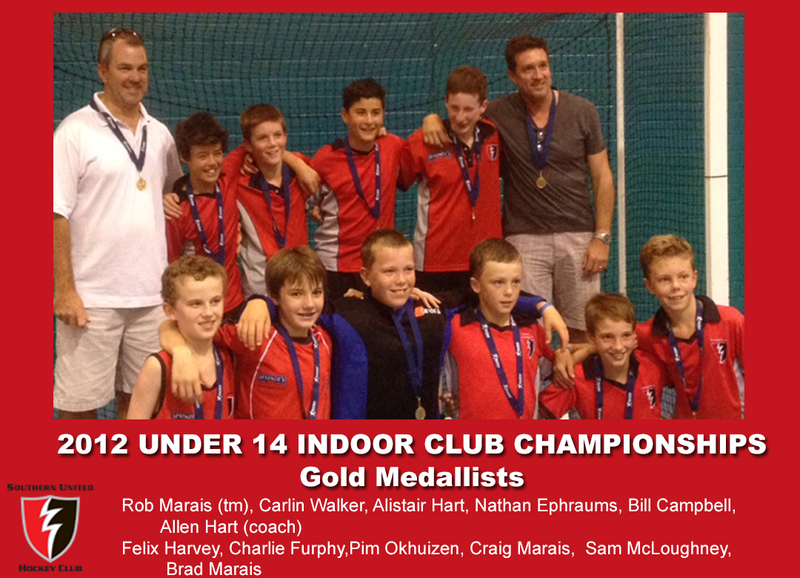 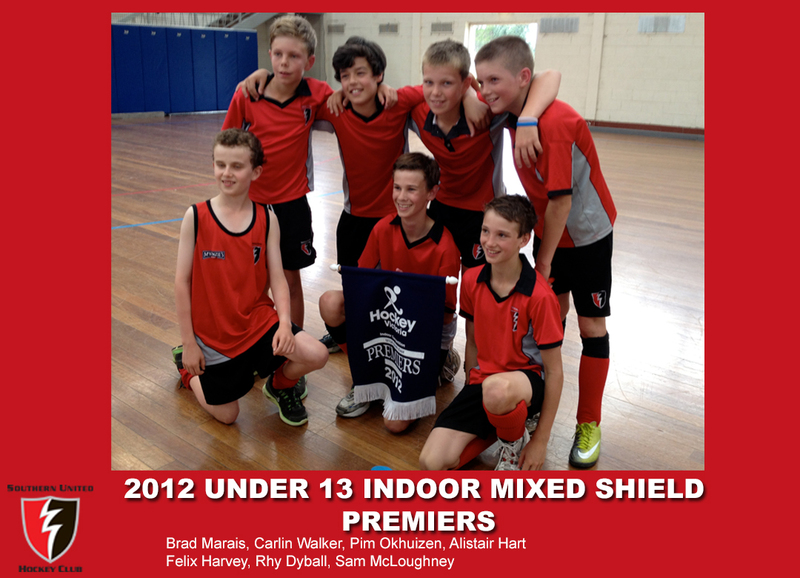 Under 12 competition will run on Saturday morning. 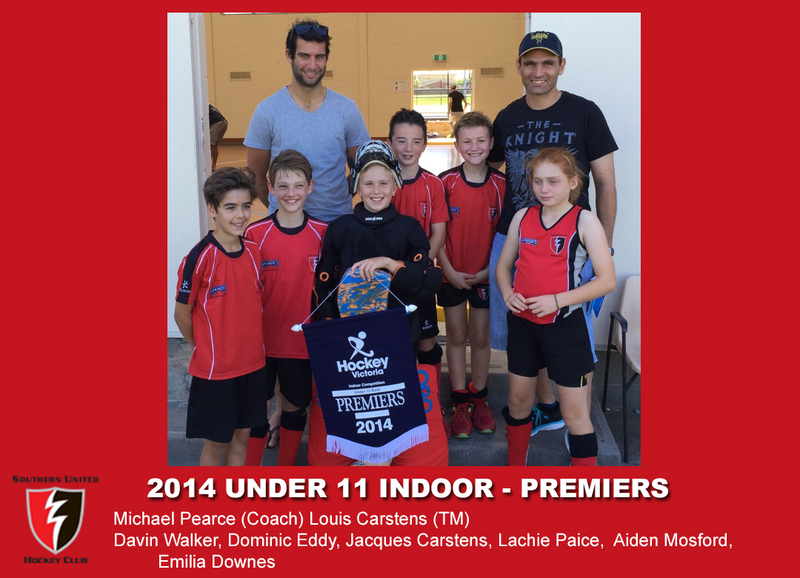 Two under 10 teams will participate in a home and away style competition to play on a 1/2 field. 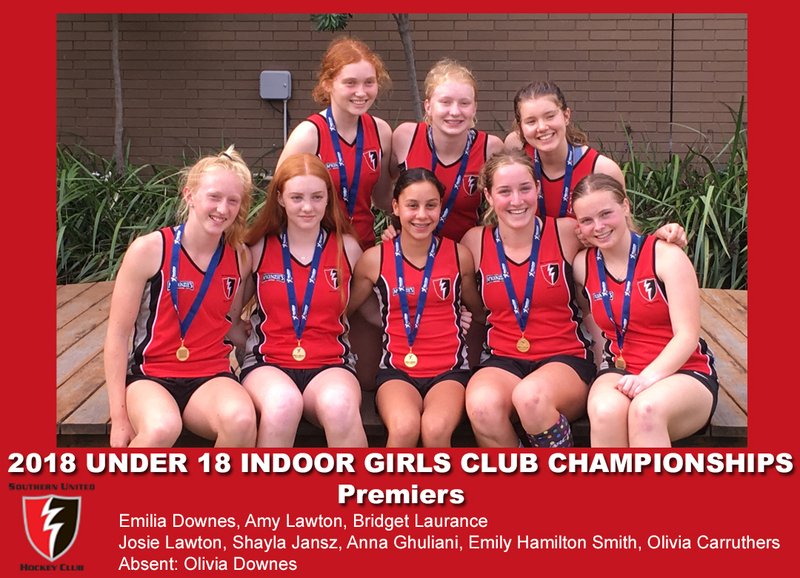 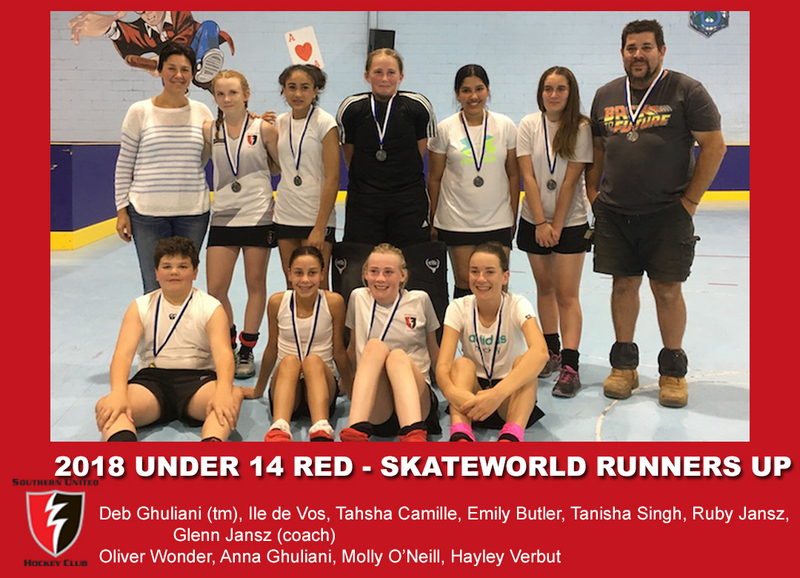 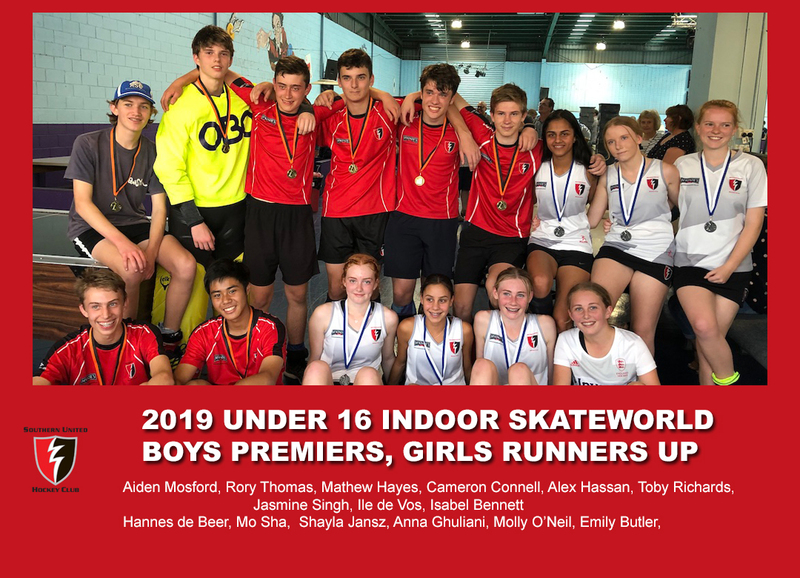 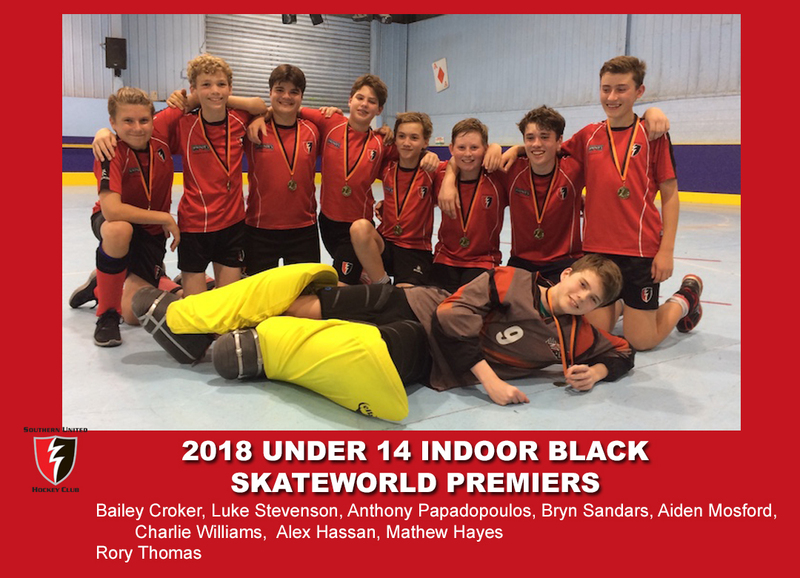 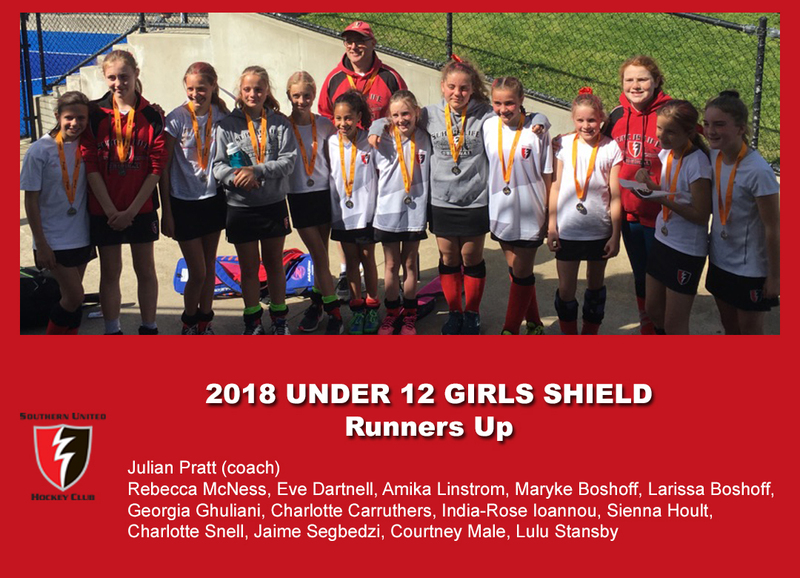 In under 10, 12 14 and under 16 Southern United will be fielding teams in the girls competitions, as well as mixed in 14 and 16 and boys in 10 and 12. 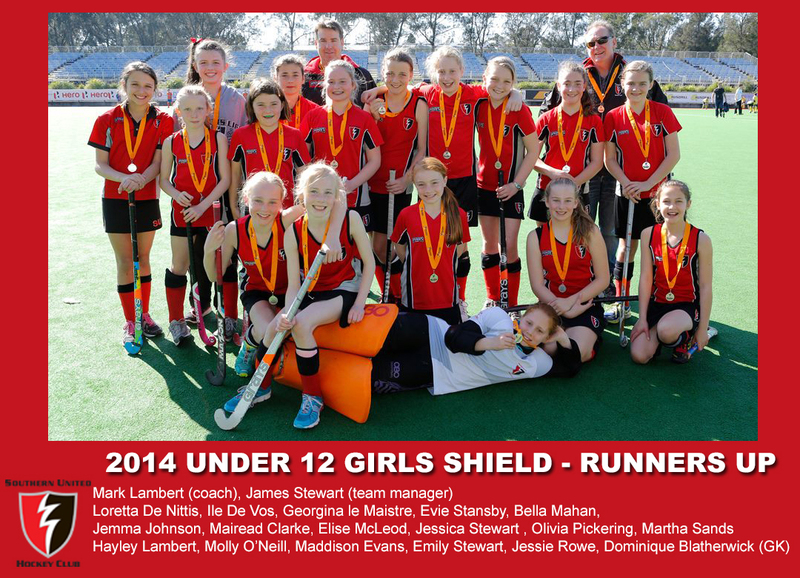 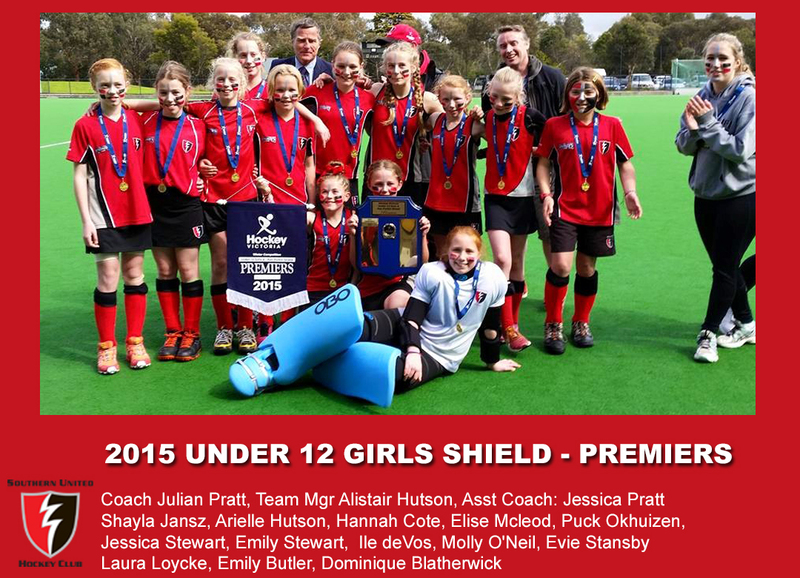 It is expected that there will be two girls under 12, under 14 and under 16 teams. 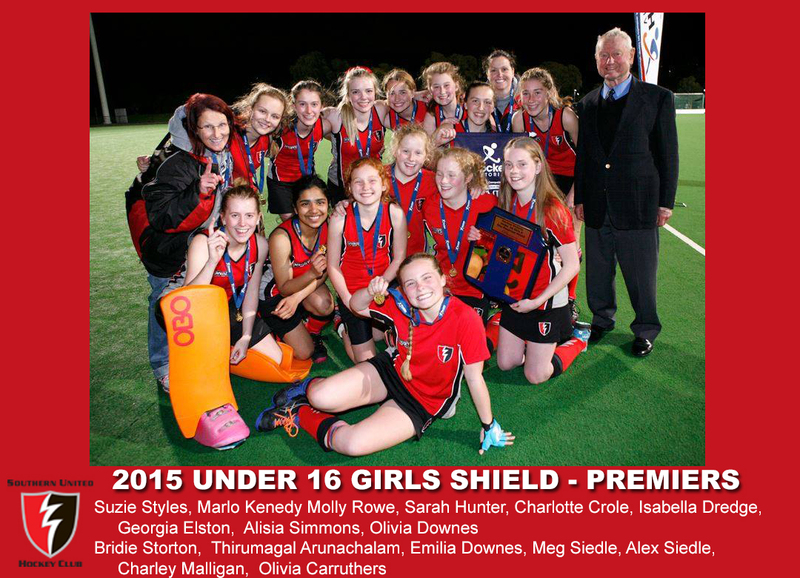 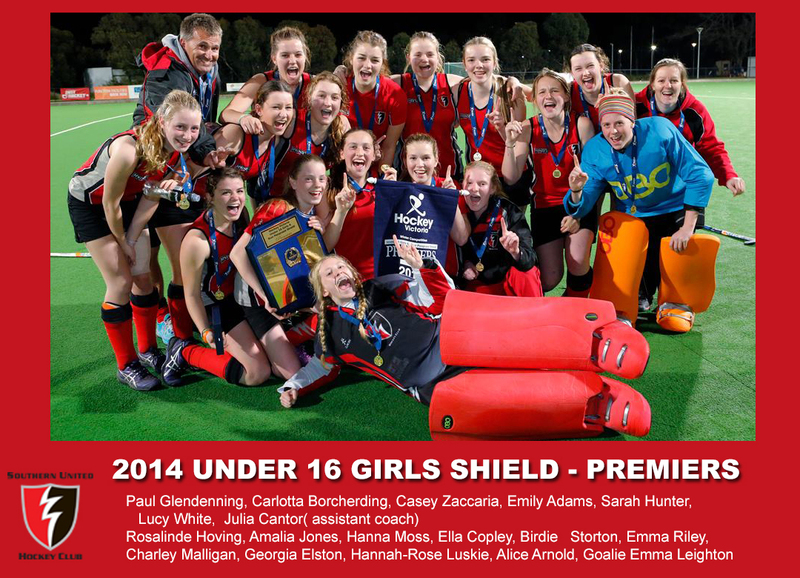 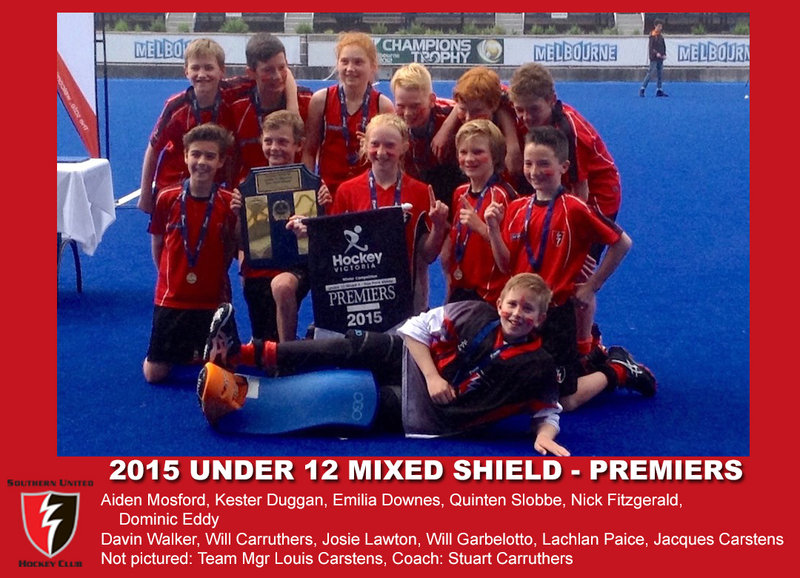 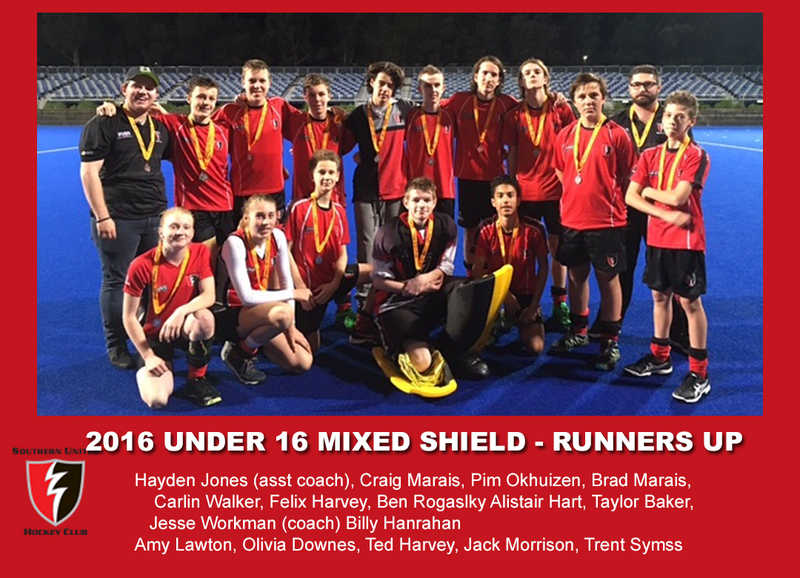 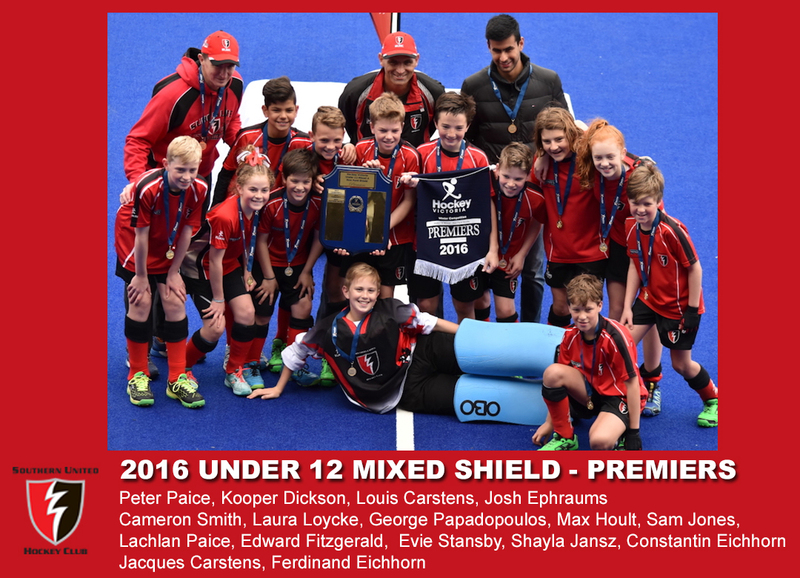 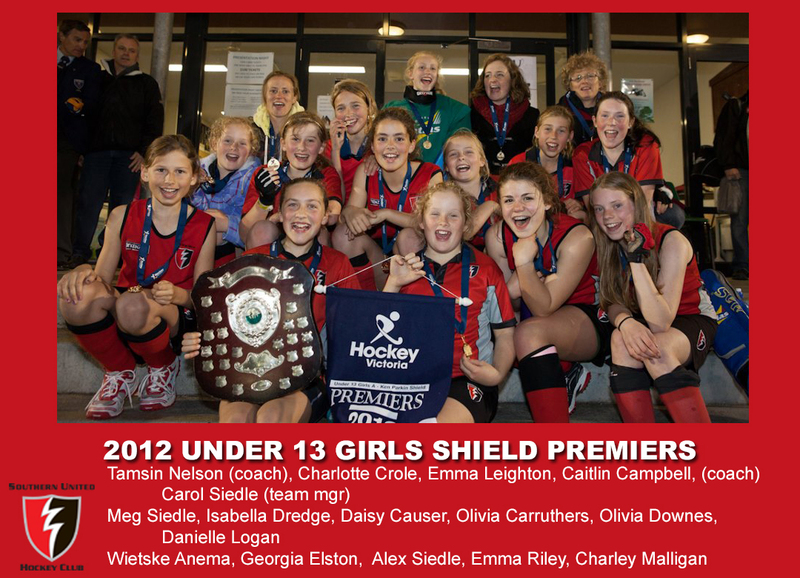 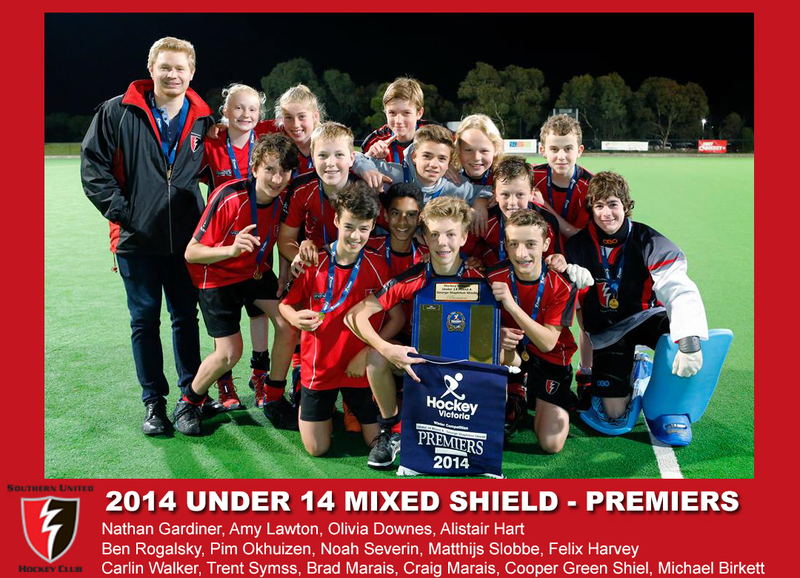 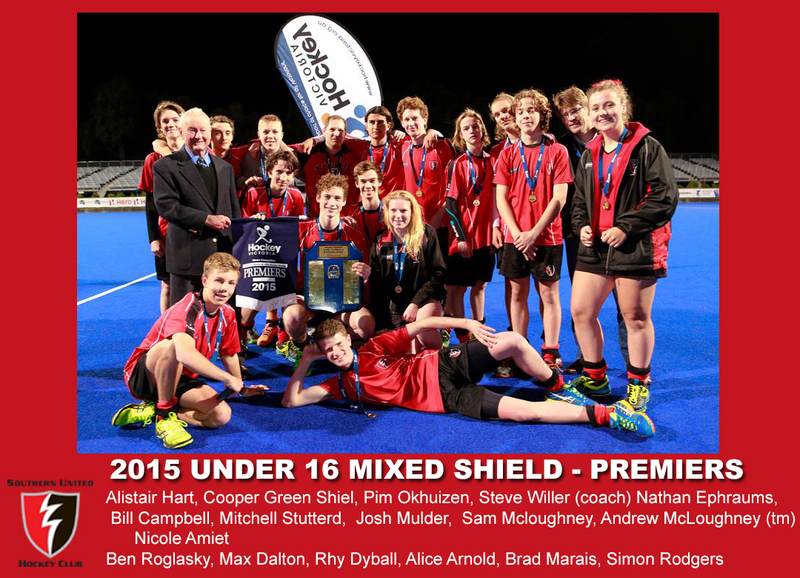 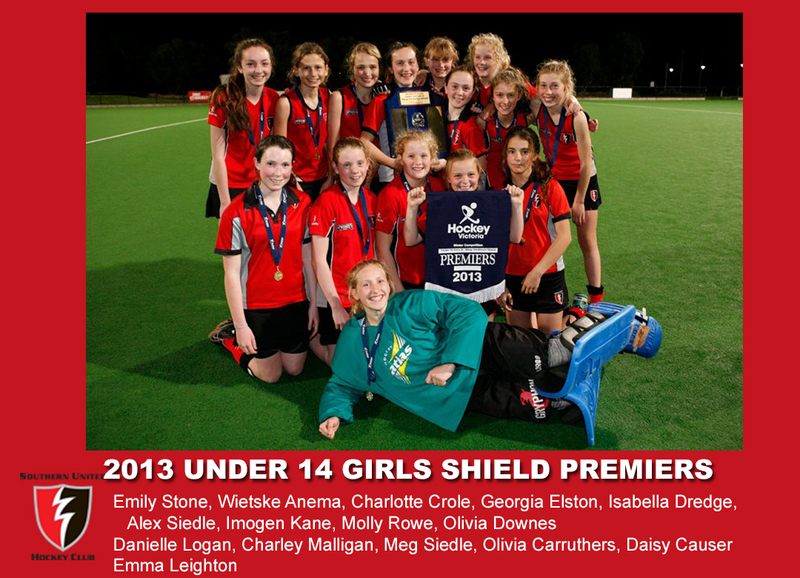 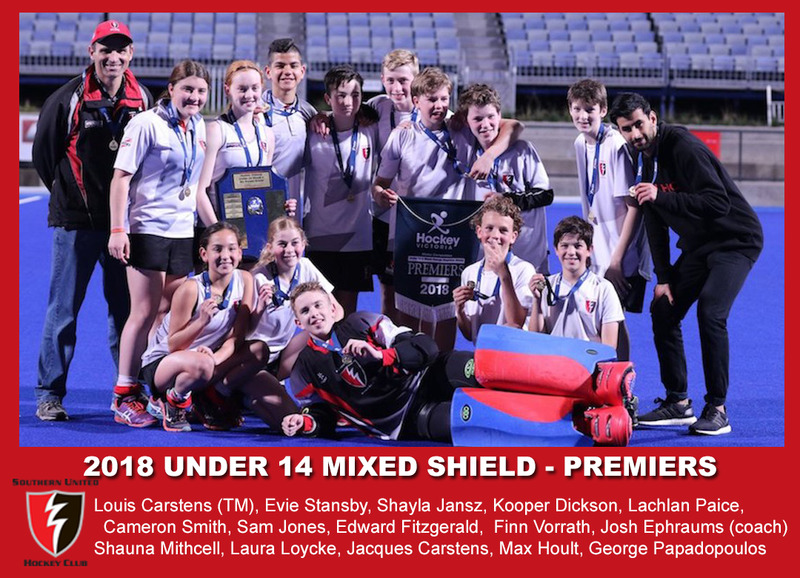 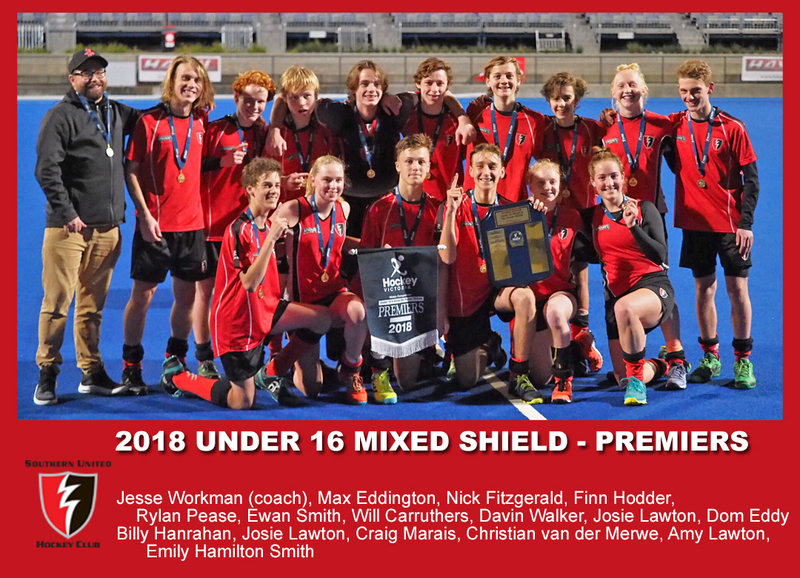 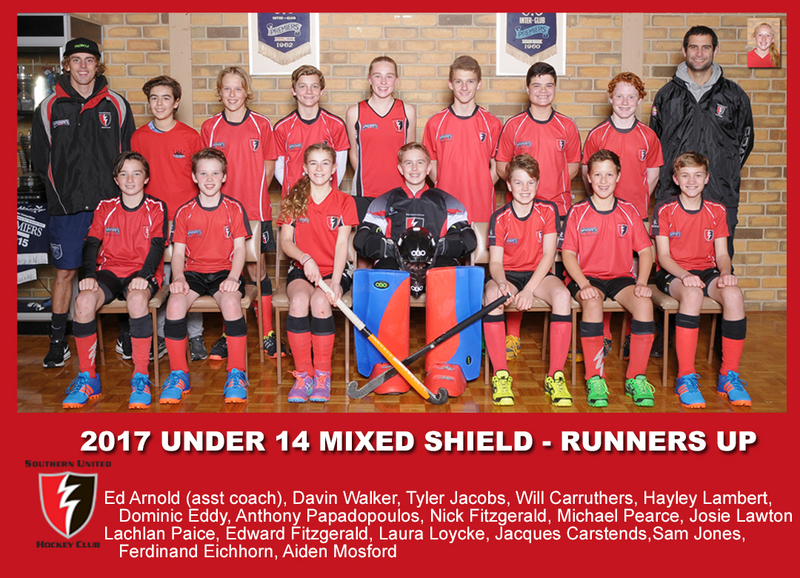 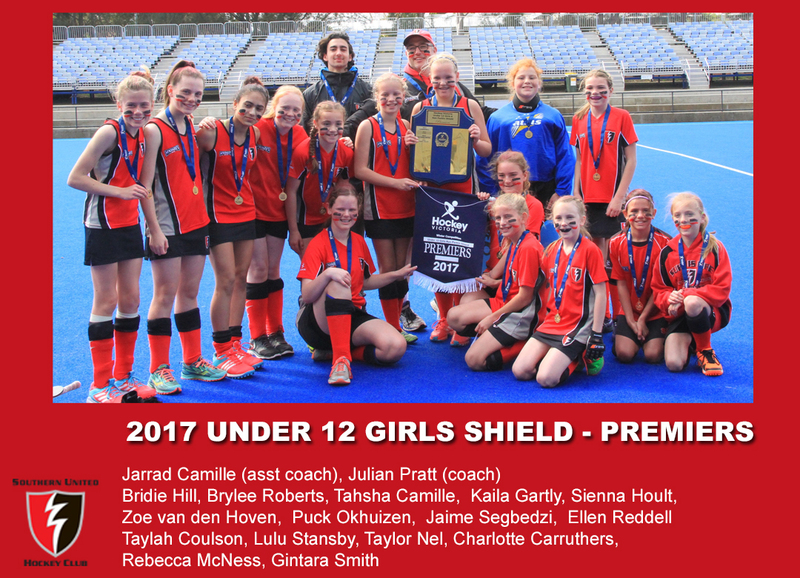 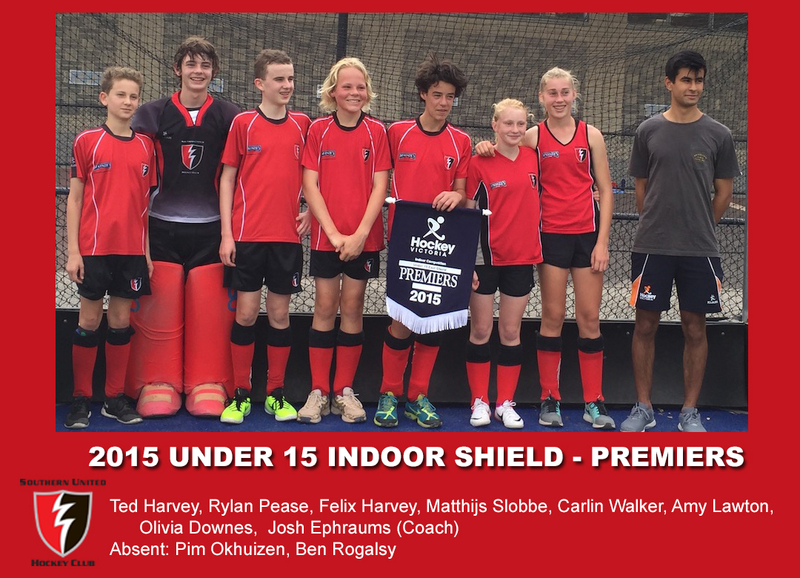 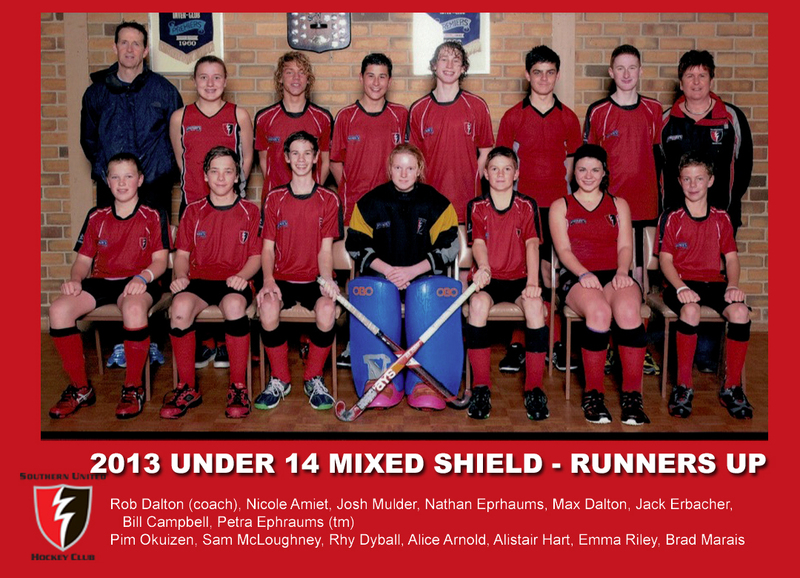 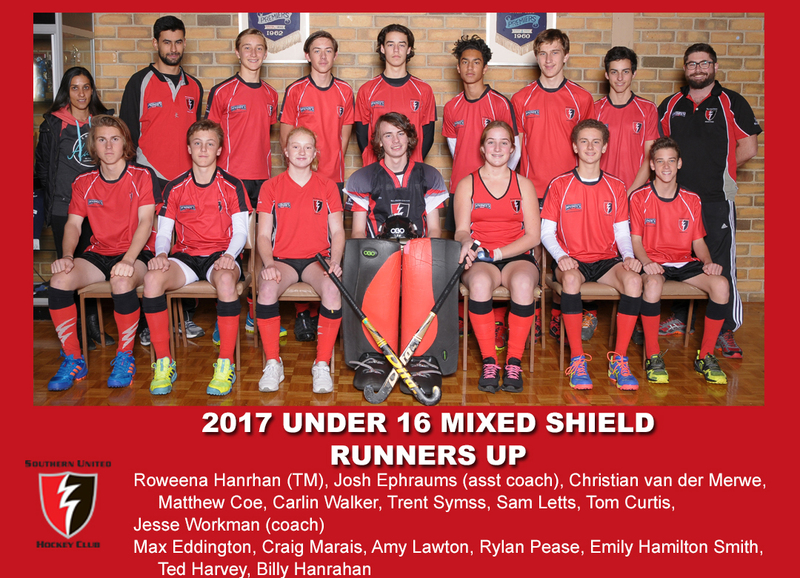 For 2019 Southern United will be playing with a “shield” (A Grade) team in all age groups U12, U14 and U16. 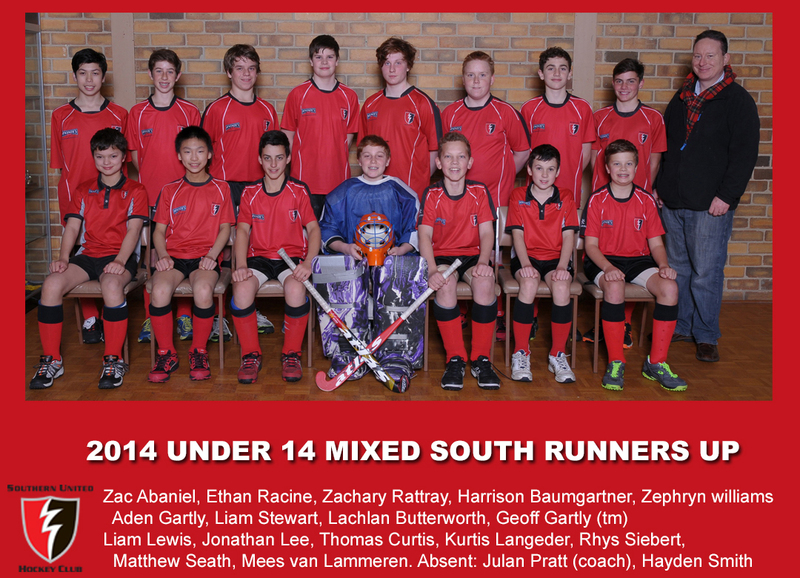 Hockey is generally a winter sport and games run in terms 2 and term 3. 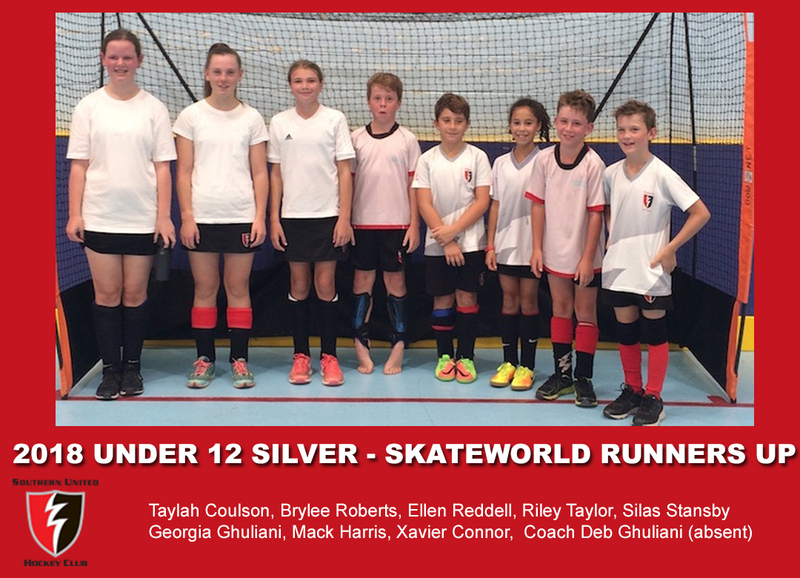 The key part of junior sport is making sport fun. 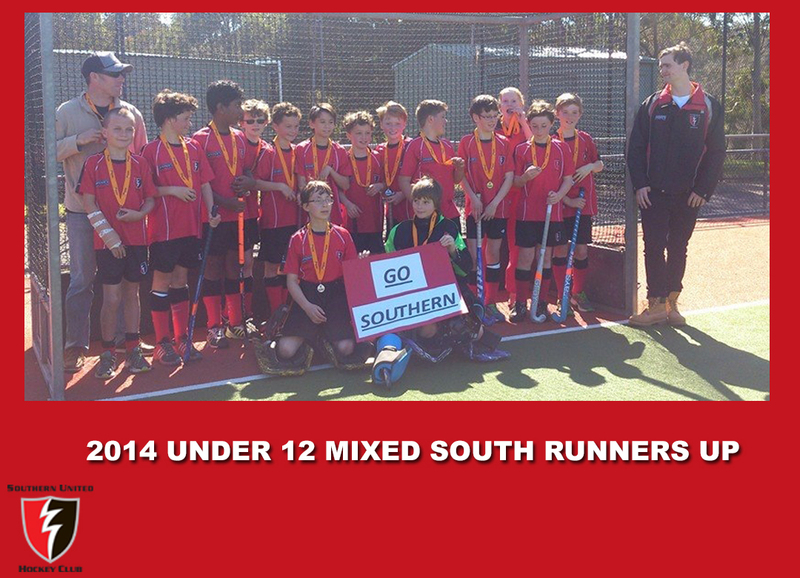 As a club Southern United sees that as the key principle of our junior section. 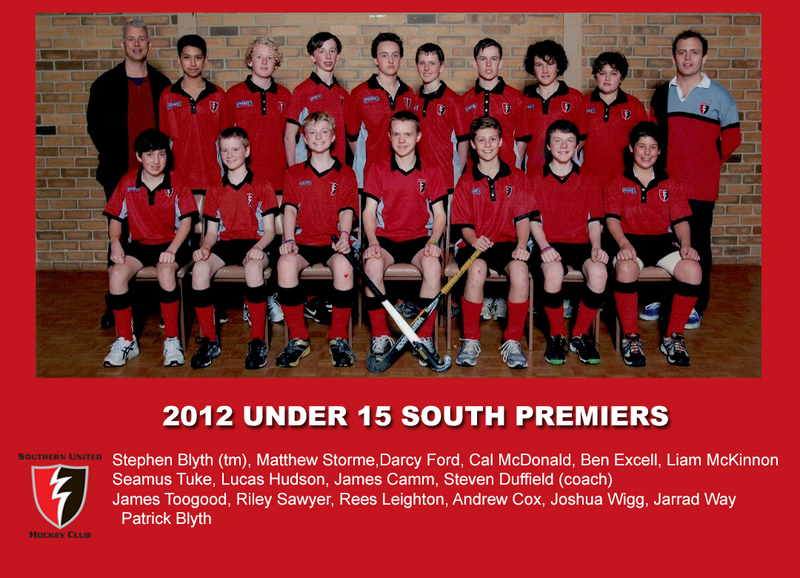 All parents and players must be follow our codes of behaviour as seen here. 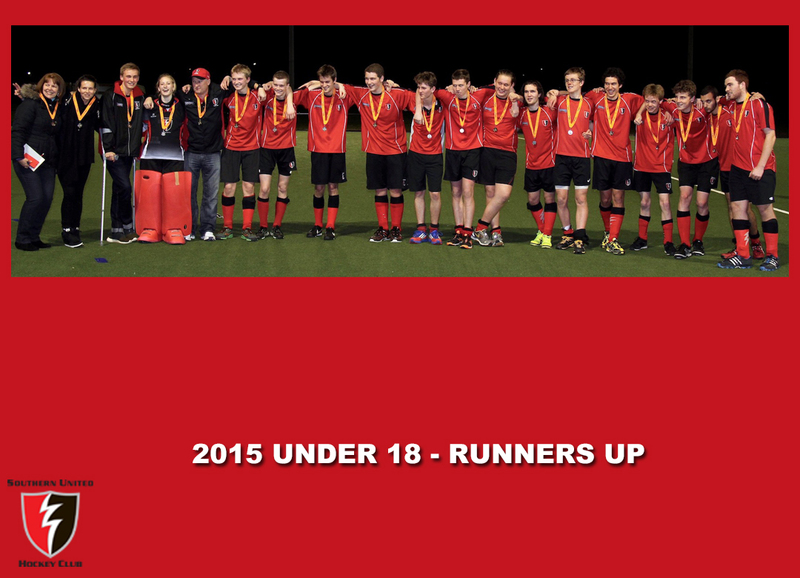 Some useful information regarding playing sport, parents, and coaches is available here.